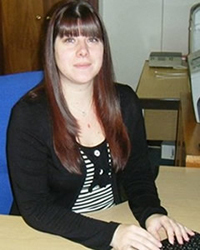 Vikki is a very experienced Legal Secretary and she has been with Thakker & Co since April 2002. She is a very valuable member of the team of the practice of Thakker & Co.
She prides herself in providing helpful and courteous assistance to clients. Vikki has a very good understanding of the firm’s procedures and ensures that she knows the firm’s clients and will do her best to deal with client’s enquiries.